Tens of millions of Americans tuned in to the three presidential debates that took place during October, with the last one held on Oct. 22. But what voters didn’t see are the third-party alternatives to Barack Obama and Mitt Romney, who for all the minor differences between them share a similar vision of a corporate state that caters to the rich, strip mines our environment and wages endless war. In New York, four third-party candidates will be on the ballot. Their views provide a refreshing counterpoint to the stale debate Americans have been treated to during the past year and a half of the presidential campaign. A physician, an environmental activist and a former Massachusetts gubernatorial candidate who debated Mitt Romney in 2002, Jill Stein is bringing her message of full employment and Medicare for all to millions of voters this year. Stein and her running mate, a formerly homeless anti-poverty activist named Cheri Honkala, will be on the ballot in at least 37 states come November. Both Stein and Honkala support the Occupy Wall Street movement. “[The] machine that is driving our economy and our climate over the cliff is bought and paid for by Wall Street,” Stein told Mother Jones on the first anniversary of OWS. 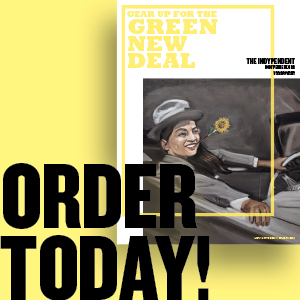 To counter this, Stein’s campaign is calling for a “Green New Deal.” Inspired by Franklin Delano Roosevelt’s New Deal, the Green Party’s version calls for massive, government-led investments with a goal of full employment and a transition to a post-carbon economy based on renewable energy sources. 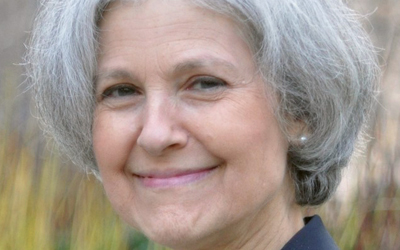 Stein is also calling for financial reform and the breakup of big banks and measures to democratize U.S. politics. Other parts of the Green Party platform include rejecting cuts to Medicare and Social Security; tuition-free education; a moratorium on foreclosures and evictions; and the creation of a nuclear-free zone in the Middle East. For more, see jillstein.org. Peta Lindsay is not legally eligible to hold the presidency (the minimum age is 35), but that’s not stopping the only woman of color on the New York presidential ballot from trying to inject socialism into the debate. Lindsay is only 28, but she has a wealth of social justice organizing under her belt. A graduate of Howard University, Lindsay cut her teeth doing anti-war organizing in the aftermath of September 11. She was a youth leader with the ANSWER Coalition (Act Now to Stop War and End Racism) and a founding member of the Party for Socialism and Liberation. Her running mate, Yari Osorio, is a Colombian-born U.S. citizen who is an organizer with ANSWER and an Occupy activist. In addition to New York, Lindsay and Osorio are on the ballot in 12 other states. As the centerpiece of her campaign, Lindsay calls for expropriating the largest private banks and creating a people’s bank that would fund a jobs program, cancel student debt, provide free education and end all foreclosures. The PSL candidate also wants to shut down all U.S. military bases around the globe, halt police brutality, abolish all anti-immigrant laws and implement full equality for lesbian, gay, bisexual and transgender people. For more, see pslweb.org. Under the banner of “minimum government, maximum freedom,” Libertarians oppose overseas military actions like the war in Afghanistan, call for the end of the Drug War and support marriage equality. They also want to do away with income taxes, government social programs and government regulation of everything from clean air and water to shady Wall Street practices. Their standard bearer this year is Gary Johnson, a former two-term governor of New Mexico who trumpets his fiscal conservatism everywhere he goes. Johnson briefly contended for the Republican presidential nomination but dropped out in late 2011 to become the Libertarian Party presidential nominee. His running mate, James Gray, is a former judge and an ardent Drug War critic. The Libertarian ticket will be on the ballot in at least 47 states. Johnson and Gray are hoping to steal some of Ron Paul’s supporters now that the libertarian idol has dropped out of the presidential race. For Tea Party types dissatisfied with Mitt Romney, Virgil Goode might be their man. A former six-term congressman from southern Virginia, Goode made headlines in 2006 after criticizing Keith Ellison, the first Muslim elected to Congress, for using the Qu’ran during his swearing-in ceremony. A year later he warned from the floor of Congress of “radical Muslims” who want to control the world and put “In Muhammad We Trust” on U.S. currency. These days, Goode is the standard bearer for the Constitution Party, a right-wing, religiously conservative party that champions deep cuts in government spending and an end to almost all immigration. Goode and his running mate Jim Clymer are also opposed to gay marriage and abortion and want to end international trade agreements. Like the other third parties on New York’s ballot, the Constitution Party rejects U.S. intervention around the world. Goode and Clymer will appear on the ballot in at least 25 states. Victoria Woodhull shocked the patriarchal assumptions of America’s political and media establishment when she leapt into the 1872 presidential race as the candidate of the Equal Rights Party. Already the first woman to publish a newspaper in the United States, Woodhull was a fierce advocate for women’s sexual autonomy and the right of women to divorce their husbands. Tarred by the press as the “free love” candidate, Woodhull was jailed days before the election by the New York City police. There is no record of how many votes she received or even whether they were counted. Fired by the grievances of small farmers against Eastern bankers and railroad monopolies, the Populist movement swept across large swaths of the South, West and Great Plains in the late 1880s. It reach its high point in 1892 when Populist Party presidential candidate James Weaver received more than 1 million votes and won five states. The Populists faded out of existence within a few years but some of the causes they championed including the graduated income tax, direct election of senators, initiative, referendum and recall were all later enacted. The son of a former slave, George Edwin Taylor was a Iowa-based labor leader and newspaper publisher who left the Democratic Party in 1904 to become the first black to run for the White House. Taylor won few votes but his candidacy showed that an independent black politics was possible at a time when both major parties were embracing the establishment of the Jim Crow system. A former railroad workers union leader, Eugene Debs received 6 percent of the vote in 1912, the high-water mark for the Socialist Party. Debs and other socialists were targeted by the government for opposing U.S. entry into World War I as a “capitalist war.” Debs received a 10-year prison sentence for speaking out against the draft and ran his last presidential campaign in 1920 from a federal prison cell in Atlanta from which he managed to garner more than 900,000 votes. Riding the wave of protests following the November 1999 “Battle of Seattle,” legendary anti-corporate crusader Ralph Nader ran a spirited third party campaign that filled arenas with thousands of cheering supporters and brought the Green Party into the national spotlight for the first time. Many Democrats blame Nader for costing Al Gore Florida’s 25 electoral votes and the presidency. Others note that Gore still would have won if he had taken his home state of Tennessee or fought harder to prevent Republican dirty tricks during the Florida recount process. The two major-party candidates both receive around-the-clock media coverage and have hundreds of millions of dollars at their disposal. As if that isn’t enough, the election game is skewed by ballot access laws enacted by Republican and Democratic lawmakers that vary state by state but make getting on the ballot an arduous process for third-party candidates. In New York, candidates could automatically get on the ballot this year if their parties had received at least 50,000 votes during the last gubernatorial election in 2010. A third party can also gain access to the ballot if candidates collect at least 15,000 valid signatures during a five-week stretch in the middle of the summer with at least 100 signatures each coming from at least half of the state’s 27 congressional districts. Other states are worse. Georgia requires a candidate to garner 1 percent of the total amount of eligible registered voters from last election. This year, that’s about 58,000 signatures. In North Carolina, candidates have to collect signatures equal to 2 percent of the total votes cast in the last governor’s election or about 85,000 signatures. The worst offender? That’s probably Oklahoma. The Sooner State requires a third party to get signatures of registered voters that equal at least five percent of the votes cast for the office at the top of the previous statewide election, or this year almost 52,000 signatures in a sparsely inhabited state with one fifth the population of New York.